Read below for important updates and announcements. Web-based, interactive training courses for educators. DEED has a new eLearning portal with courses designed just for students, called the eLearning Classroom! The courses are not to be accessed by students, but delivered to students using accompanying instructions for teachers. The library is limited at this time but more courses will be released in the future. The first series, created in collaboration with DEED and the Mat-Su Borough School District, is called Navigating Transitions: Promoting Wellness to Prevent Suicide. This series is aimed at fifth through twelfth graders, to help them learn how to successfully navigate challenging life transitions. The lessons align with the Alaska State Suicide Prevention plan. To access the new courses for students, click the following link: https://akclassroom.asentialms.com. You will need to create a new login to access the eLearning Classroom. For assistance with the new system, please contact eLearning@alaska.gov or 465-2304. In order to qualify for a certificate on June 30, 2017 or after, you must complete the following trainings within the 5 year span of your certificate. *The new required content was added in 2016. Certificate of completion date must be after 8/24/2016 to satisfy new training requirement. *The new required content was added in 2016. Certificate of completion date must be after 10/27/2016 to satisfy new training requirement. Effective June 30th 2017, certificated staff must receive training on sexual assault and sexual abuse awareness and dating violence awareness and prevention. 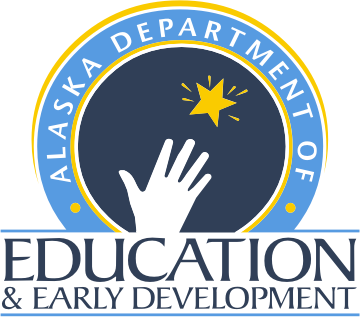 The following two courses have been updated to include the teacher training content required under the Alaska Safe Children's Act. *The new required content was added in 2016. Certificate of completion date must be after 8/24/2016. *The new required content was added in 2016. Certificate of completion date must be after 10/27/2016. 7. Recently updated: Mandated Reporters of Child Abuse & Neglect (November 2018), Domestic Violence and Sexual Assault Training for Educators, Prenatal Alcohol and Drug Related Disabilities, and all suicide prevention courses. For more information, click here for Frequently Asked Questions (FAQ). All courses available from work or home. eLearning support staff is available from 8 a.m. to 4 p.m. Monday-Friday, except on state recognized holidays. Contact us at eLearning@alaska.gov or (907) 465-2304 or 465-2981 or 465-8693. If it has been at least two years since your last course completion, please contact eLearning support to reactivate your account. eLearning courses are now compatible with mobile devices! You may enroll and view courses from your mobile phone or tablet. Firefox may require you to click the "Activate Adobe Flash" link for all Flash content to be viewed. You may need to update to the latest version of Firefox and Flash Player plug-in.